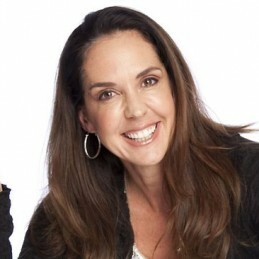 Janine Allis founded Boost Juice Bars 14 years ago. Her desire to own her own business led her to look at the retail market and review what the market was lacking as a consumer. Janine and her husband Jeff trialed a number of businesses like publishing and touring comedians, but nothing truly got the business juices flowing until they noticed there was a lack of truly healthy fast food in the market place. Janine did extensive research world-wide and started to develop a business concept that was different to anything else in the world. Her vision was to do retailing differently, delivering a unique customer experienced based on the ‘love life’ philosophy of Boost. At the time, she had one child in primary school plus a baby and toddler at home. With her husband Jeff working a demanding corporate job, Allis says Boost only took off because her mother helped look after the children and run the household.Those kids are now 23, 16 and 15 and Janine and Jeff also have a five-year-old. Boost now has hundreds of stores in 11 countries. The umbrella company Retail Zoo also includes chains Salsa’s Fresh Mex Grill, Cibo Espresso and Hatch, with total turnover of $223 million last financial year. Being underestimated has been one of Janine’s great strengths and she has utilised all her natural abilities to achieve the unthinkable. Janine is the 2013 Business Woman Hall of Fame Inductee and continues to work, practice yoga and run her family.